This article appeared in the Equine Wellness Magazine and is a very good description of the amazing benefits of Yoga, not just for yourself but even your horses! Yoga – not just for humans! “Yoga with horses?” “What’s that?” “How is that possible?” This is what I often hear when people discover what I do. I realize it may be difficult to comprehend at first but once you get a glimpse of what yoga with horses is all about, it actually makes a whole lot of sense. If you can appreciate the need and benefits of yoga for humans then you can translate the same to the horse. The practice of yoga reconnects you with your body. You essentially teach (or re-teach) yourself where your body is and how to move it in the strongest and most balanced way with the least amount of stress. You also stretch, strengthen and tone. Anything with a body is therefore a yogi. Body awareness is fundamental to preventing injury and chronic pain. For riders, knowing how you are using your body can help you realize that sometimes it is your body that is preventing your horse from performing something you are asking! Yoga helped me when I was seeking relief from a chronic back issue caused by a serious injury in my past. Diligently combining yoga with massage therapy and physiotherapy, the symptoms became less severe and reoccurred less often. It was undeniable. The massage therapy and physiotherapy are now only used on an as needed basis. The yoga remains. Without such chronic back issues my riding abilities and stamina improved and thus the athletic demands on my horse did. My ongoing concern for his well-being made me wonder what I could do to help his body with his physical stresses. I realized that if yoga was so good for me it would also be good for my horse. 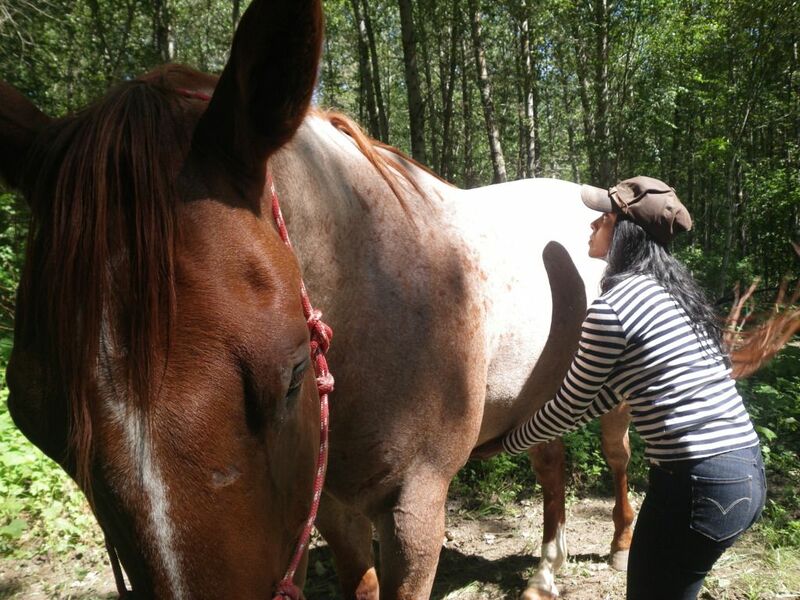 Linda Guanti (www.yogawithhorses.com) is a certified yoga instructor based out of Pemberton, BC. She discovered yoga after an injury left her with chronic health issues, affecting her ability to ride. 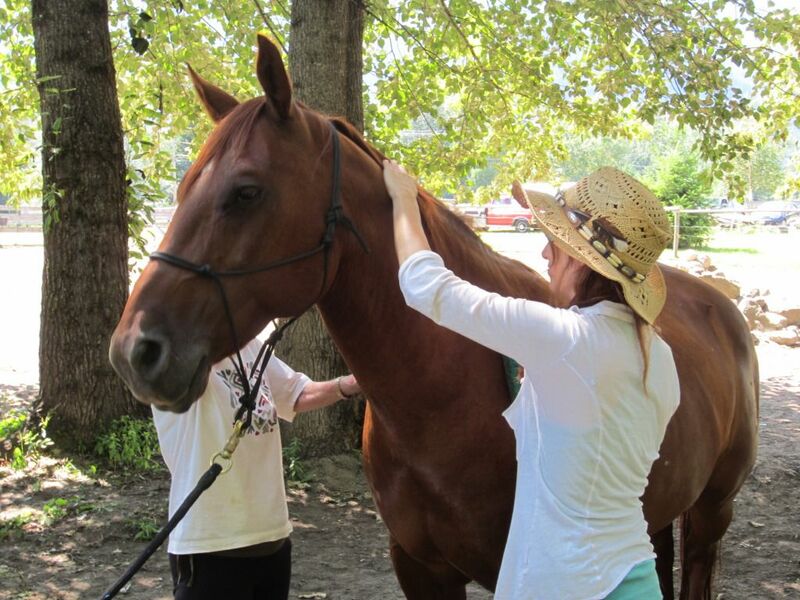 Yoga changed her life and she now utilizes it to help other riders, and stretch their horses too!